Spanning more than 100 years, Carl Hansen & SĂ¸nâ&#x20AC;&#x2122;s collection of iconic design is a testament to timeless values and aesthetics â&#x20AC;&#x201C; and the power of innovative thinking to enhance our lives and the spaces we inhabit. CH25 lounge chair by Hans J. Wegner from 1950. Hans J. Wegnerâ&#x20AC;&#x2122;s first series of chairs embodied a new and exciting expression and a simplicity that would ensure their enduring appeal. His CH24 Wishbone Chair, CH23 chair, CH25 lounge chair and CH22 lounge chair were destined to become icons. the young designer a free hand to create a range of chairs. Holger Hansen, who took over from his father in 1934.
back was destined to become an icon. Passing through numerous expert hands, each piece of our furniture is manufactured with great love for design and the history of the crafting process, here exemplified by Hans J. Wegner’s CH24 Wishbone Chair. 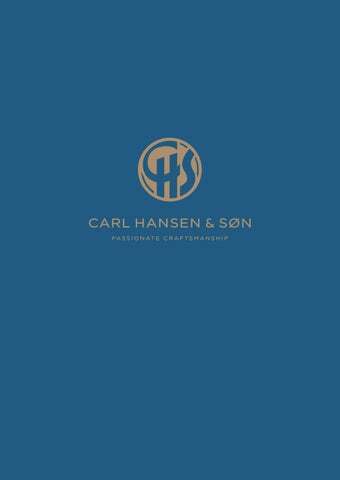 everything we do at Carl Hansen & Søn. within and it is always the starting point on which designers can add new elements,” says Knud Erik Hansen. Bodil Kjær and Mogens Koch. architect’s family to relaunch his sophisticated AJ52 Carl Hansen & Søn remade the Indoor-Outdoor Series as Bodil Kjær originally designed it in 1959.
of the Hansen family so too has knowledge and experience. When we develop new furniture it is a close collaboration between the designers and the craftsmen who will actually make it, we listen to their years of experience and push them to explore new techniques. classic craftsmanship and modern technology. nonchalance that will stand the test of time. Ever since my grandfather’s time everything has been a natural genuine evolution. Carl Hansen & SĂ¸n creates furniture for those who share our passion for lasting quality and timeless style. Our furniture forms a unique relationship with the surrounding environment, evoking an air of classic elegance and establishing a framework for a life well-lived. In making our home, we wanted to celebrate family and the social environment. Living with chairs of organic functionality, you feel so supported daily. Marble brings natural grain and material combined with a practical surface. Having a variety of textures changes the pace of different areas and humanizes the space. My background is in weaving, so Iâ&#x20AC;&#x2122;m drawn to the natural woven seat of Wegnerâ&#x20AC;&#x2122;s CH25 lounge chair. I often sit in the chair and find this very restorative and supportive. Our kitchen space is a hub for many social gatherings, from weekend yoga to helloing sessions. The natural warmth of the douglas fir and its noise-calming qualities are specific wellness attributes we apply to our projects. I combined Wegnerâ&#x20AC;&#x2122;s CH46 and CH47 dining chairs in the natural oak and black to mix the tones and add some depth amongst the pale palette. Carl Hansen & SĂ¸n makes furniture that lasts for generations, developing patina and becoming more beautiful as it ages. Every piece of our furniture has a story beginning at the core with the materials it is made from. They must be of the highest quality and milled or manufactured with the same passion, innovation and commitment to sustainability as we have. For us it is important to have long-standing relationships with our suppliers and that we share the same values and dedication to the highest standards. Working together, we secure the right wood, textile or leather for the right piece and to offer our customers a diverse range of options. Wood is our great passion. Apart from classic Scandinavian wood such as oak, beech and ash, we also use cherry, walnut and teak. Most wood comes from forests that are 150 to 200 years old and we go to great lengths to source the perfect pieces. We have developed a unique collection of fine leathers in partnership with Europeâ&#x20AC;&#x2122;s leading leather suppliers that can be sculpted or shaped into sophisticated furniture. We choose our materials carefully for strength and durability but also for tactility, elegance, and the feelings they evoke. We want people to see, feel and even smell the materials. By using natural materials like wood, leather and wool, we want our furniture to give a sense of comfort and permanence. One of the very first models Hans J. Wegner designed exclusively for Carl Hansen & SĂ¸n, the CH24, or Wishbone Chair, has been in continuous production since 1950. This chairâ&#x20AC;&#x2122;s lightness and sculptural shape capture the very essence of modern Danish design, timelessness and universal appeal. by Wegner holds a special place in the world of modern design. support, Wegner developed the characteristic Y-shaped back that the Wishbone Chair is named after. Over time, the Wishbone Chair has gained recognition as the ideal chair, capturing the essence of modern Danish design. First introduced in 1950, the CH23 dining chair features organic contours and a clean expression, demonstrating young Hans J. Wegner’s unique design approach and insightful craftsmanship. The reassuring feel of natural materials and the loving touch of expert hands are evident in this chair. A closer look reveals many crafted details. in 2017, once again making the first masterpiece part of the collection. The CH26 dining chair by Hans J. Wegner finally came to life in 2016. The chair is the reimagined version of a design Wegner had made exclusively for Carl Hansen & Søn in 1950. An elegant chair that is made to last with curved, organic shapes, natural materials and exceptional craftsmanship. Carl Hansen & Søn brought the CH26 design to life. at a dining table or a desk. the lounge chair’s form into a dining chair, the CH26. An artful fusion of wood and steel, Hans J. Wegner’s versatile CH88 chair epitomizes his characteristically playful approach to design and materials. An experimental mix of materials meet in a carefully considered design with a personal expression. materials. The CH88 is a testament to his skill in this realm. steam-bent backrest with elegantly upturned ends forming a natural resting place for the arms. Hans J. Wegner designed the stackable Elbow Chair in 1956. After crafting two prototypes, he set the production-intensive chair design aside in his archives, where it remained for nearly half a century. Frozen in time for almost half a century, this classic design proudly sees the light of day, for work or relaxation. ICFF Editors’ Award in New York in the same year. in combination with a light and floating expression above the legs. Inviting, organic contours and clean lines keep this classic Hans J. Wegner design as relevant and modern as ever. Less becomes more as superior comfort and elegant lines elevate shared moments into truly memorable experiences. slender when the design allows. feel, the CH33 is an ideal fit for contemporary interiors. Hans J. Wegnerâ&#x20AC;&#x2122;s clean and simple CH36 and CH37 dining chairs are as comfortable to sit in as they are beautiful to behold. Pure craftsmanship and careful consideration for every detail are clear to see in these beautifully designed chairs. frame and hand-woven seat in durable paper cord. a sturdy construction to comfortably seat generations. Hans J. Wegner designed the Sawbuck Chair for Carl Hansen & Søn in 1952, inspired by the simple sawbucks or saw horses traditionally used by carpenters and woodcutters. The ‘Sawbuck’ craftsman’s tool is the functional origin of this classic chair, yet its form is the very essence of lightness and style. – is beautifully crafted to ingeniously enchance comfort. Beautiful examples of Hans J. Wegnerâ&#x20AC;&#x2122;s Shaker influences, the CH46 and CH47 chairs combine organic materials and shapes into statement minimalist forms. The superbly crafted, graceful curves of these classic Wegner chairs allow for great comfort and hours of sitting pleasure. Simple and practical, this compact bar stool, designed by Hans J. Wegner in 1985, combines solid wood, leather and stainless steel to beautiful effect. A functional, minimalist bar stool combining modern expression with effortless movement and versatility. best suited to your needs. Mogens Koch’s Folding Chair – a tribute to the classic director’s chair – made its debut in 1932. There when needed, swiftly folded away when not. Feel supported by the elegant simplicity of this highly functional folding chair. by pairing easy folding functionality with modern aesthetics. aficionados seeking to balance singular form and comfort with space constraints. gain popularity, and soon went into serial production. The light and elegant PK1 – Poul Kjærholm’s first dining chair – was designed in 1955 and marked the beginning of an impressive career. Kjærholm’s endless exploration of lightness and form are beautifully captured in every detail of this comfortable chair. including the precise weaving of 55 meters of flag halyard. of the finest representatives of modernism. making the stackable chair an ideal fit for both classic and modern interiors. The result of Carl Hansen & Søn’s first collaboration with EOOS in 2015 was a dining chair so novel and expressive, it easily functions as a stand-alone, sculptural addition to any interior. Enjoy superior comfort with this modern and inviting blend of skillfully sculpted organic and soft materials. rather than appendages to the upholstered upper section. in classic finger joints, is especially striking. appearing to float within the frame. A sculptural collection designed to suit many different needs and spaces, this extensive series is the work of American designer Brad Ascalon. Part of a suite of pared-back and contemporary pieces, the Preludia chair collection offers a minimalist take on comfort. the Danish mid-century masters for his inspiration. modern life, whether in the workplace or the home. and comfort, the series is also typical of Ascalon’s modern, minimalist aesthetic. Materials Matter Oak makes strong and alluring furniture with natural variations that add depth and personality. The oak we use is between 150 and 250 years old, sustainably milled in European forests. Hans J. Wegner designed this beautiful, solid wood table concept in 1962. The eye of a master has created effortless variety and choice for a range of dining needs in all kinds of spaces. that elegantly taper toward the floor. and personality and make each table unique. Hans J. Wegner’s 1962 table exemplifies the way that dedication to craftsmanship can fulfill the inherent promise of a great designer’s work. Experience Wegner’s delicate yet confident touch with elegant edges and a sharp eye for each intricate detail. CH327 can also serve as a beautiful desk or conference table. Designed in 1982, this series of minimalist, versatile dining tables captures Hans J. Wegner’s visionary design approach, excelling in contemporary spaces that require flexible solutions. A table series that adapts effortlessly to any environment with grace and ease. The perfect balance of form and function. depending on the chair, wood type, and finish chosen. Hans J. Wegnerâ&#x20AC;&#x2122;s 1960 CH388 dining table offers a beautiful example of the visionary experimentation that characterized much of the designerâ&#x20AC;&#x2122;s work in the 1960s. For everyone passionate about design and quality, this carefully constructed piece will make a clear statement in any contemporary space. The CH322 dining table, designed in 1960, is one of the fortuitous results of Hans J. Wegnerâ&#x20AC;&#x2122;s experimentation with combinations of wood and stainless steel. Feel the strength of a well-crafted table made from natural materials that can be expanded for a variety of needs and spaces. versatile addition to any contemporary interior. elegance to the overall design aesthetic. Created for an exhibition in 1950, Børge Mogensen’s Hunting Table exemplifies the Golden Age of Danish Design. With its elegant, organic form and functionalist construction, this timeless design is the result of exquisite craftsmanship. trestle legs accentuate its high-quality construction. In 1955, Poul Kjærholm developed a table concept for the Royal Danish Academy of Fine Arts that would change the course of his career. Designed to inspire with strong, striking lines and exceptional details. This table encourages endless creation and enjoyment. unite traditional craftsmanship and industrial design. makes an excellent desk or worktable in a studio or office. Clean, graphic and unified, Brad Ascalon’s Preludia table collection is highly versatile, designed to fit harmoniously into any environment. Effortlessly contemporary and incredibly hardwearing, the innovative Preludia table designs are rooted in the Danish tradition of expert craftsmanship. joints that ensure long-lasting appeal. materials, employing both in his innovative approach to design: an ideal collaborator for Carl Hansen & Søn. heights, as well as round, square or rectangular variants. as suited to a busy workplace as they are a family home. In 2007, Strand + Hvass set out to design a table that would pay tribute to previous masters while exploring new forms and structural directions. A bold table that blends new and known materials to create a novel take on functionalism. A true feast for the eyes. composition and integration of new structural possibilities. Created in 1952, the masterfully designed CH71 lounge chair is a testament to Hans J. Wegner’s unparalleled understanding of woodworking and upholstery. This supremely comfortable lounge chair features a streamlined design that is both neat and elegant: an ideal choice for a smaller space. the chair easy and convenient. upholstery techniques, which allowed him to conceive designs that required expert craftsmanship in their creation. Now considered one of Hans J. Wegner’s most iconic and groundbreaking works, the Shell Chair patiently waited for the spotlight for a number of decades. Wegner’s architectural expertise and absolute determination create the ultimate sense of proportion and balance. and upholstery, cradling the user in generous comfort. immediately won broad public admiration. adds stability to the light and distinctive form. beautiful from all sides and angles. Hans J. Wegner’s Wing Chair takes us on a fascinating journey through the talented designer’s skills and aesthetics. give the chair the ideal pitch. dramatic, sculptural silhouette with instant visual appeal. in very limited numbers, but relaunched in 2006 based on Wegner’s original design. Designed in 1960, Hans J. Wegner’s stunning Oculus Chair went into production half a century later. A mystery for many years, this chair is now an iconic and irresistible invitation to luxurious relaxation and enjoyment. own, and functions well in groups. The Oculus Chair is available with the matching CH446 footstool for added comfort. The CH22 was one of the first chairs in Hans J. Wegner’s debut collection created exclusively for Carl Hansen & Søn in 1950 – a series that also included iconic designs such as the Wishbone Chair and the CH25 lounge chair. An early design that displays Wegner’s natural flair for honest craftsmanship and passion for subtle intricacies in materials and techniques. jointed corners of the seat frame, with the front legs locking into wooden wedges in a color contrasting that of the frame. The CH25 is one of the first four chairs Hans J. Wegner created exclusively for Carl Hansen & Søn at the beginning of the collaboration in 1949. The chair, considered revolutionary at the time, was put into production in 1950. Many hours of skill and care have gone into creating this revered design icon from Wegner’s uncompromising choice of materials. testament to Wegner’s visionary approach. Hans J. Wegner’s CH28 lounge chair from 1951 is as functional as it is sculptural. The chair, which was put into production the following year, is a carefully considered design capturing many of the master’s signature elements. Sharp and shapely lines contrast beautifully in this highly appealing chair. Ease back in the comfort of its rounded edges and delicate touches. With the heart of a cabinetmaker and the mind of a modern functionalist, Hans J. Wegner continually pursued simplified forms and perfect functionality. Simplicity perfected. This honest construction allows for complete rest and contemplation in outstanding comfort. inspired the closely related CH46 and CH47 chairs. joint. The overall effect is striking and very comfortable. low CH53 footstool for added comfort. From the wild plains of Africa to living rooms and hotels, this iconic design has come a long way. Imagine great adventures in its simple yet sturdy construction. – possibly the first examples of self-assembled furniture. in 1933 at the Copenhagen Cabinetmakers’ Guild Exhibition. Ole Wanscher possessed a unique ability to add sculptural dimension to his furniture, and his Beak Chair is no exception. Classic methods, Mother Nature and an adventurous mind inspired this elegant chair. Decades later, it is still eye-catching and inviting. craftsmanship, as do the upholstered seat and back. and decorative detail reminiscent of a bird’s eye. Ole Wanscher’s Colonial Chair – a modern design with historical roots that remains his most famous furniture work. Refined and luxurious all at once with contrasting forms and materials. This stylish chair is a true pleasure to experience. outward for added stability and a more refined silhouette. slender dimensions, the Colonial Chair is very stable, its strength lying in the carefully designed bracing. Colonial Chair is available with the matching OW149F footstool for added comfort. The mounting interest in Frits Henningsenâ&#x20AC;&#x2122;s work in recent years points to the timelessness of his aesthetic values and design approach. Drawing from global inspiration, this early design with its matching footstool embodies relaxed sophistication. to Henningsenâ&#x20AC;&#x2122;s constant pursuit of perfection. crafted, solid beech frame. It is available with the matching FH420 footstool for added comfort. As the last piece of furniture Frits Henningsen designed and produced, the Signature Chair crowned his life’s work and consummated his legacy as one of Denmark’s greatest furniture designers. Capturing a lifetime of work, this completely unique, exceptionally pure and superbly crafted lounge chair is as easy on the eye as it is to relax in. model – in this case, using modeling clay and toothpicks. before Henningsen was content with the result. organic form that calls for quiet contemplation. Having changed the dining chair conversation with the uniquely enveloping Embrace Chair in 2015, EOOS translated the design into the lounge category in 2016, continuing Carl Hansen & Søn’s evolution while keeping strong ties to the original DNA. This modern blend of organic and soft materials is skillfully sculpted to surround with supreme comfort. E016 footstool for added comfort. In 2013, the acclaimed Japanese architect Tadao Ando designed the Dream Chair for Carl Hansen & Søn as a tribute to Hans J. Wegner, seeking to capture the sculptural minimalism that defined Wegner’s work. This chair’s sculptural appeal is captivating and comforting all at once – the perfect place to dream away the hours. merges beauty and comfort as it invites relaxed reflection. axles during the molding process. Designed by Morten GĂ¸ttler in 1997, the Cuba Chair exemplifies contemporary design with its ideal balance of form and function, and nods to previous masters who experimented with elevating the folding chair concept. This stylish lounge chair displays exquisite textures and natural materials. Expert functionalism also make folding it away an absolute pleasure. Designed by Hans J. Wegner in 1970, this series was relaunched in 2008 in celebration of Carl Hansen & Søn’s 100th anniversary. A highly geometric design that visually unifies natural and industrial elements to remain relevant and inspiring decades later. First presented in 1952 at the Danish Furniture Design exhibition in Copenhagen, Hans J. Wegner’s CH72 sofa combines optimal comfort with enduring style. The sculptural design of the expertly crafted CH72 sofa features an upholstered frame and slender legs made from solid wood. design that is built to stand the test of time. When Hans J. Wegner designed this sofa in 1965, he merged new ideas for comfort with his signature emphasis on making the structural elements visible – to impeccable results. This classic design with strong lines and visible construction offers plenty of natural support and luxurious comfort. archives – and relaunched it in 2013.
enabled Wegner to infuse exceptional comfort into a fairly geometric form. into unique, essential aspects of the design. The minimalist Kastrup Series, designed by Hans J. Wegner, is part of the interior for the seating areas at Copenhagen Airport. The elegant and comfortable design of the lounge chair and sofas make attractive additions to home and lounge interiors. Thoughts fly away in this beautifully designed series with balanced, clean lines and distinctive material combinations. an original design feature out of a functional necessity. Ole Wanscher reimagined his popular Colonial Chair as a two-seater sofa. Manufactured in very small quantities, the design was virtually unknown until Carl Hansen & Søn launched the entire Colonial Series, including a coffee table, in 2015. Appreciate the intriguing contrast of slender wooden details and comforting, upholstered cushions in this elegant sofa. lattice construction, its elements supporting one another. modern approach to materials and construction. Ole Wanscher originally designed the two-seater OW602 and three-seater OW603 sofas as part of a complete living room set. They have since become treasured classics. Experience a blend of influences from near and far in the superior craftsmanship and comfort of these classic sofas. Oriental furniture to create a new expression. Many of Ole Wanscher’s designs have become collector’s items by virtue of their timeless simplicity and beautiful finishes. His distinctive daybed and folding stool exemplify his creative vision and masterful touch. Create a new dynamic in any room with these iconic pieces, crafted from natural materials that express a passion for exploration and original thought. designed the elegant, lightweight Egyptian Stool with Temple of Thebes furniture in mind. is in fact supported by a delicate yet strong cotton webbing. yet is distinctly modern in its expression and construction. into the chair when folded. Materials Matter Walnut lends depth and elegance to our furniture thanks to its unique grain and distinctive color variations. The walnut we use is sourced from American forests and is around 150 years old. Designed in 1954, Hans J. Wegnerâ&#x20AC;&#x2122;s three-legged coffee table has since become one of his most iconic works. Graceful and useful, this coffee table series effortlessly complements its surroundings with crafted details and a smooth, natural finish. approach thoroughly exemplified by the CH008 coffee table. The CH011 coffee table, designed by Hans J. Wegner in 1954, deftly combines utility with a contemporary, stylish form that naturally complements its surroundings. A spacious coffee table with a sturdy construction and natural surface for exploring different functionalities and displays. laptops to cocktails and canapĂŠs. Hans J. Wegner’s 1970 reversible Tray Table stands out as a quintessential example of his mindful approach to creating versatile, unique, and above all, functional design. Whether used for guests or for displaying beautiful objects, the incredibly flexible and light Tray Table delivers in style. enabling the tabletop to be hung as a decorative piece. intelligent design details for which Wegner was well known. One of Hans J. Wegner’s later designs, created in 1990, this coffee table shows Wegner at his minimalist best. Small and lightweight, yet extremely sturdy – let this elegant design gem find its perfect home in any space. Designed by Ole Wanscher when he developed a two-seater version of his Colonial Chair â&#x20AC;&#x201C; creating a harmonious focal point for the entire Colonial Series. As an integral part of the Colonial furniture series, this coffee table stands proud with elegant lines and an appealing aesthetic. to lend modern style and utility to classic objects. table enhances contemporary settings with its understated, thoroughly thought-through form. Light, clean, and intelligently constructed, Mogens Koch’s 1960 Folding Table offers a stable, elegant extra surface. Every possible functionality has been thought of with this carefully constructed coffee table – simply enjoy its elegance and ease. The design adjusts to two heights to match varying needs. ratio, making it easy and comfortable to carry. easy to hang flat on a wall. Mogens Lassen first exhibited this round coffee table, inspired by folding stands found in Tutankhamen’s tomb in 1922, at the Copenhagen Cabinetmakers’ Guild Exhibition in 1940. The beauty and organic lines of this functional coffee table do justice to its complex origin of intricate study and foreign lands. and flexible, practical tables like the Egyptian Table. inherent in classic furniture types. that intelligent, purposeful design never goes out of style. Materials Matter Using quality wood for painted furniture ensures longevity and character. Painting solid oak gives the pop of a color but you can still see and feel the fibers of the wood whereas painted beech has a smooth surface. Though its stylish exterior exudes modern simplicity, a closer look at Hans J. Wegner’s 1959 credenza reveals multiple sophisticated features. A range of materials combined with sophisticated construction and considered functionality make this credenza an appealing focal point in any room. enable simple installation of additional drawers. design based on Wegner’s original drawings to commemorate the 100th anniversary of Wegner’s birth. range of design styles and settings. Seeking to develop a straightforward, universal solution to the challenge of everyday storage, Mogens Koch designed a bookcase system ingenious in its versatility, strength and elegant simplicity. The simple square is elevated to an art form in this visionary bookcase system. Find peace and calm knowing that there is a place for everything. contents, is a brilliant construction in its own right. The Indoor-Outdoor Series is made of solid teak, which patinates beautifully and withstands weather changes. Due to its natural oils, teak is highly durable, lending itself to indoor and outdoor use. This clean-lined and precise furniture series was designed in 1959 by acclaimed Danish architect and professor Bodil Kjær. The versatile furniture collection is as hardwearing as it is beautiful, which is exactly what its designer intended. craftsmanship – something Bodil Kjær is passionate about. maximum comfort whether used inside or out. Hans J. Wegner’s CH110 desk was in many ways a departure from his usual style of wooden furniture. Created in 1970, it was part of an exclusive office concept. The series shows some of Wegner’s most distinctive steel-framed furniture. thoughtfully designed with flexible interior compartments. The PK52 Professor Desk, together with the smaller PK52A Student Desk, designed for the Royal Danish Academy of Fine Arts, established Poul Kjærholm’s reputation for uniting the best of traditional craftsmanship and industrial design. occasion: the larger Professor Desk and more compact Student Desk. Kjærholm’s pioneering role in Danish functionalism. A fluid fusion of Bauhaus, functionalism and industrial design, this exquisitely crafted writing desk is made from a timeless mix of materials. of Arne Jacobsen’s functionalist approach to design. Designed as the perfect gift decades ago, this furniture set by Hans J. Wegner has remained a cherished classic for children’s rooms and continues to offer the ultimate combination of carefully considered design and an engaging toy. the use of tools – to the great excitement of children. Børge Mogensen, Wegner took matters into his own hands and crafted the gift himself. 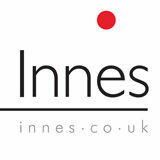 without compromising on design and quality. Since Carl Hansen & Søn joined hands with Naja Utzon Popov in 2015, the multidisciplinary artist has brought new dimensions to the collection with nature-inspired rugs that unite compelling visuals and luxurious textures. Tencel® derived from beech tree fibers. linear pattern emerges as a symbol of the simple, beautiful essence of a material central to the Carl Hansen & Søn story. several combinations of black, white, and charcoal gray. a meditative mood and a sense of connection to the earth. Danish artist Naja Utzon Popov has created luxurious rugs. to new designs created by contemporary visionaries. Strand + Hvass and Morten Gøttler represent new chapters to a tradition of thoughtful simplicity and comfort. Among Danish furniture designers, Hans J. Wegner is considered one of the most creative, innovative and prolific. Often referred to as the master of the chair, he designed more than 500 – many of them considered masterpieces. Recognized as the father of modern Danish design, Kaare Klint made a name for himself as a furniture designer, educator and Visionary. He designed icons such as the 1914 Faaborg Chair and the 1933 Safari Chair, as well as the design for the Danish Pavilion at the 1929 Barcelona International Exposition. Wegner was part of the spectacular generation that created the first wave of Danish Modern design. “Many foreigners have asked me how we created the Danish style,” Wegner once said. “And I’ve answered that it was a continuous process of purification and of simplification - to cut down to the simplest possible design of four legs, a seat, and a combined back- and armrest.” The core of Wegner’s legacy is his focus on showing the inner soul of furniture pieces through a simple and functional exterior. The son of a cobbler, Wegner was born in 1914 in Tønder, a town in southern Denmark. He began his apprenticeship with Danish master cabinetmaker H. F. Stahlberg when he was just 14 years old. Later on, he moved to Copenhagen and attended the School of Arts and Crafts from 1936 to 1938 before setting out as a furniture designer. In 1938, Wegner joined architects and designers Arne Jacobsen and Erik Møller in Aarhus, and subsequently started designing furniture for the new Aarhus City Hall. During that same period, Wegner began collaborating with master cabinetmaker Johannes Hansen, who was a driving force in bringing new furniture design to the Danish public. Wegner’s background as a cabinetmaker gave him a deep understanding of how to integrate exacting joinery techniques with exquisite form. His aesthetic was also based on a deep respect for wood and its characteristics, and a vast curiosity about other natural materials that enabled him to bring an organic, natural softness to formalistic minimalism. Wegner established his own design studio in 1943 and created a series of chairs for Carl Hansen & Søn in 1949, including the Wishbone Chair, which has been in production at Carl Hansen & Søn ever since. Over the course of his career, Wegner received almost all the major recognitions awarded to designers, including the Lunning Prize, the Grand Prix of the Milan Triennale, Sweden’s Prince Eugen Medal, and the Royal Danish Academy of Fine Arts’ Eckersberg Medal. academic teaching. Klint had an outstanding sense of space and proportion, and created “human furniture” based on studies of the human body. He studied an object’s uses over its form, and renewed Danish furniture design by refining tradition and developing objects perfectly in relation to their primary purpose. Klint was also aware of designs’ relationship to its environment, insisting his pieces never dominate a space, but unite form and function for a greater whole. In all his work, he insisted on clear, logical design, clean lines, the best materials, and superb craftsmanship. Klint earned many accolades, including the Eckersberg Medal in 1928 and the C.F. Hansen Medal in 1954. In 1949, he became an Honorary Royal Designer for Industry in London. Wegner was also awarded an honorary Doctorate by the Royal College of Art and made an Honorary Royal Designer for Industry of the Royal Society of Arts in London. Almost all of the world’s major design museums, from the Museum of Modern Art in New York to Die Neue Sammlung in Munich, include his furniture in their collections. OLE WA N S C HER 1903 – 1985 Ole Wanscher was closely linked with Kaare Klint and the core aesthetic and functional ideas of modern Danish design. Wanscher studied under Klint at the Royal Danish Academy of Fine Arts and later worked at Klint’s design studio before becoming an independent furniture designer. He helped shape Danish furniture design as a designer and as an educator when he took over Klint’s professorship at the Academy. Wanscher’s classic and contemporary designs made him popular. In 1958, the Danish newspaper Politiken wrote: “Owning a Wanscher chair is an adventure every day, and will be so even several hundred years from now, for this is how long it lasts.” Today, his modern classics are still revered for their detail and his deep respect for materials. While traveling through Egypt and Europe, Wanscher studied furniture design, finding inspiration in varied visual expressions that he incorporated into his own unique design aesthetic. He viewed furniture design as a branch of architecture and emphasized slim dimensions and resilient forms – a quest exemplified in many of his works, particularly the Colonial Chair and Colonial Sofa. Wanscher created his best-known designs primarily in the post-war era when the “design for everyone” philosophy emerged. In Denmark, some of design’s biggest names created functional and affordable furniture for the Danish people and the small spaces they lived in. Wanscher took great interest in industrially produced yet high-quality furniture, designing several successful pieces. Wanscher’s design earned him numerous accolades, including the Copenhagen Carpenters’ Guild Annual Award and the gold medal at the Milan Triennale in 1960 – honors that underscored Wanscher’s esteemed reputation both in Denmark and internationally. MOGEN S KOC H 1898 – 1992 Mogens Koch’s designs reveal some of the most elegant and important solutions to the requirements of function, comfort and aesthetics. His works – which included homes, monuments, building extensions, graphic design, and objects for the home and, of course, furniture – stand out as original examples of universal utility. renowned for its versatility, detail, and functionality based on everyday needs and the space constraints of modern living. The Bookcase System design – initially developed for Koch’s own home – offered a highly flexible, practical storage solution. In 1928, he drew the first sketches for the core square module, offering a minimalist aesthetic and intelligent, varied storage. Following Klint’s ideologies, Koch’s Bookcase System has succeeded in bringing everyday home objects into graphic order for over 80 years. Koch was an influential professor at the Royal Danish Academy of Fine Arts in Copenhagen from 1950 until 1968. His numerous awards include the Eckersberg Medal in 1938, the C. F. Hansen Medal in 1963, and the ID Prize in 1992. Known as the ‘people’s designer’, Børge Mogensen insisted on designing quality furniture that was within people’s reach. He produced pieces that placed humans at the center and could last for generations. With this as his starting point, he became a prominent figure behind Danish Modern. One of Denmark’s best-known and most respected architects, Arne Jacobsen is synonymous with Modernism and his precise yet expressive aesthetic is a source of inspiration for contemporary designers. While architecture was his primary focus, he also worked with lighting, textiles, furniture and industrial design approaching each with the same uncompromising perfection. and pure functionalism, but Mogensen placed considerable emphasis on furniture for informal interiors and adapted to modern production facilities. He taught furniture design at the Royal Academy and participated in the annual Copenhagen Cabinetmakers’ Guild furniture exhibitions as well as showing abroad. In 1948, with his friend Hans J. Wegner, he entered the International Competition for Low-Cost Furniture at the Museum of Modern Art in New York. Just before his death in 1972, he was appointed Honorary Royal Designer for Industry at the Royal Society of Arts in London. Jacobsen created his most iconic buildings while adding legendary chairs, lamps, cutlery, tableware and faucets to his extensive portfolio. Striving for an ideal balance of organic simplicity and functionalism, he often drew inspiration from nature referencing organic shapes in several of his furniture pieces. An extremely productive architect and designer, Jacobsen also taught at the Royal Academy in Copenhagen. In 1963, the now world-famous architect won the RIBA Bronze Medal. After he passed away suddenly in 1971, senior employees from his studio completed a number of his unfinished projects including the National Bank of Denmark. Through his influential work as an architect and a teacher, Poul Kjærholm became an international design figure and key representative of modernism. He combined his strict, modern idiom with an uncompromising approach to quality and materials rooted in Danish craftsmanship traditions. Despite his short career as a furniture designer, Kjærholm’s exquisite craftsmanship and clear expression resulted in timeless designs whose influence extended globally and well beyond his own lifetime. easy solutions and fads in his search for each material’s own language. Kjærholm’s linear aesthetic and expression were influenced by global pioneers such as Gerrit Rietveld, Mies van der Rohe and Charles Eames. In the post-war, industrial years, Kjærholm distanced himself from the rounded, organic shapes of contemporary Danish design. He felt that Denmark could only industrialize production if its products were technically superior to their traditionally crafted counterparts – he sought new ways to unite tradition and innovation. Kjærholm’s furniture is represented in many international museums, including the Museum of Modern Art in New York. His awards include the Lunning Award in 1958, the Eckersberg Medal in 1960, and multiple ID Prizes. Jacobsen, who trained as a mason, studied architecture at the Royal Danish Academy of Fine Arts where he came under the influence of Kaare Klint and Kay Fisker, both known for their rigorous design approach. Two years after graduating in 1927, he won a competition to design the House of the Future with Flemming Lassen. He designed a number of villas before creating the functionalist Bellavista housing estate built in 1932-34. From then on his career gained momentum. greatly influenced by Kaare Klint, one of his teachers at technical college. The competition that arose between them led to a constant renewal and reinterpretation of furniture craftsmanship on both sides. For Henningsen, it was the furniture item – not its creator – that deserved center stage. This was one of the main reasons his designs never achieved the same popularity as those of some of his contemporaries. Henningsen’s more functional design style developed from historically inspired to simpler, timeless work that remains relevant today. Like the work of Kaare Klint and Ole Wanscher, Henningsen’s oeuvre is rooted in classic craftsmanship with a design expression that has broad appeal – a combination embodied in his Heritage Chair and his final design, the Signature Chair. Throughout a long and distinguished career as a professor and architect, Bodil Kjær traveled the world to gather knowledge and communicate her considerable insight into the relationship between design and architecture. The main goal of her travels, however, was to explore methods and materials that could be used to realize her ideas for functional furniture systems and work environments. HARALD GRÜNDL – BORN 1967 EOOS, an Austrian design collaborative established in 1995 in Vienna by Martin Bergmann, Gernot Bohmann, and Harald Gründl, consider design a poetic discipline whose end result should always accommodate the user’s changing needs and desires. Kjær grew up on her family’s ancestral farm near Horsens, Denmark, a home shaped by an appreciation of quality and aesthetics, a respect for nature, and an interest in societal dynamics. After completing her schooling, she spent a year in the UK where she became interested in furniture and design. Upon return, Kjær took up interior design studies under the tutelage of prominent figures such as Finn Juhl and Jørgen Ditzel. In 1960, Kjær established her studio in Copenhagen, creating showrooms, offices and exhibitions. Five years later she moved to London for further studies at the Royal College of Art and the Architectural Association School of Architecture. She remained there until 1979, working as a senior architect at the engineering company, Arup, on office, factory and university building projects. The trio founded EOOS after graduating from the University of Applied Arts in Vienna. Today, the internationally renowned collaborative approaches complex furniture, product and shop design challenges by examining past roots in a contemporary context. Termed Poetical Analysis®, EOOS’s unique process focuses on myths, rituals and intuitive expressions, creating connections that extend beyond initial perceptions. Having honed her design skills in the US via the American Scandinavian Foundation, Kjær created several furniture pieces, or architectural elements, as she prefers to call them. She has always been preoccupied with how to construct furniture from a purely technical perspective – from the inside out, rather than based on form. Kjær has been a guest lecturer and visiting professor at many leading architecture schools in Denmark, the UK and the US. Today she lives in the East Jutland region of Denmark. Carl Hansen & Søn’s collaboration with EOOS evolved from a mutual respect for craftsmanship, quality and design. EOOS’s progressive design approach enabled Carl Hansen & Søn to further develop and explore its own design DNA and introduce a new aesthetic to its range. EOOS’s writing on style and design includes “The Death of Fashion” and “The Cooked Kitchen: A Poetical Analysis”. In 2015, the Austrian Museum of Applied Arts/Contemporary Art celebrated EOOS’s work with their first major solo exhibition. EOOS designs for many of the world’s best-known brands. The trio has published books on design, holds over 15 technical patents, and has won over 130 international awards, including a red dot award, a Compasso d’Oro, the German Design Award, an iF Award, and a Wallpaper* Design Award. The work of architect Mogens Lassen, one of the pioneers of functionalism in Denmark, was rooted in cubist architectural ideals deeply inspired and influenced by Le Corbusier. Acclaimed Japanese architect Tadao Ando bases his work on a strong personal design philosophy that joins Japanese design traditions with modern Western expression. Like his architecture, Lassen’s furniture designs showcased his interest in diverse materials and his ability to express his ideas through both natural and man-made materials. His simple, functional wooden furniture, like the folding Egyptian Table, have gone on to become furniture classics, while his 1930s works in steel continue to serve as original examples of the innovations of international modernism. As an exhibition architect for the “Permanent Exhibition of Danish Applied Arts and industrial Design” in Copenhagen from 1939 to 1967, Lassen was behind a number of exhibitions whose style of presentation helped Danish applied art win international recognition. In 1971, the Royal Danish Academy of Fine Arts awarded Lassen the C.F. Hansen Medal for his outstanding contribution to architecture. Born in Osaka, Japan, Ando’s interest in design began early on as an apprentice with a local carpenter at the age of 10. He learned to explore wood’s many possibilities by building model airplanes and ships. His approach to learning was unusual in that he preferred to work independently, without input from his employers. The architect has great respect for Hans J. Wegner and has frequently used his furniture in his architecture projects. Ando produced his Wegner-inspired Dream Chair in collaboration with Carl Hansen & Søn, relying on a century-long tradition of craftsmanship to fulfill his demands for perfection. Ando’s interest in architecture began at the age of 15 when he purchased a book of sketches by design pioneer, Le Corbusier. Today, Ando is still inspired by him and often evaluates his own projects in relation to Le Corbusier’s approach. Ando is also strongly inspired by Danish design culture and the Scandinavian design philosophy – his style is minimalistic and innovative, with a focus on functionality. His work embodies the Japanese tradition of living simply and in harmony with nature – a cornerstone of the Scandinavian lifestyle. Ando has been responsible for over 150 construction projects of various sizes in Japan and internationally, including the Azuma building in Osaka, Chichu Art Museum in Naoshima, the Pulitzer Foundation for the Arts in St. Louis, and the Teatro Armani in Milan. His original works have earned him a number of prestigious awards, including the Carlsberg Prize in 1992, the Pritzker Architecture Prize in 1995, the Premium Imperiale Award in 1996, and the Royal Institute of British Architects Gold Medal in 1997. Born into a family of creators, Brad Ascalon became immersed in the world of art and design at a young age. His grandfather, a noted sculptor and industrial designer, and his father, an artist renowned for large-scale installations, instilled in him a focus on craftsmanship, materials and longevity. She inherited her creative genes from her grandfather, Jørn Utzon, a Danish architect known for designing the iconic Sydney Opera House in Australia; her mother, the esteemed Danish artist Lin Utzon; and her father, the acclaimed Australian architect Alex Popov. Utzon Popov’s childhood years in Denmark have always been an important source of inspiration for her work, as have the years she spent studying drawing, painting and etching at the Julian Ashton Art School in Australia. After moving to England, Utzon Popov continued her formal artistic training at the University of Westminster School of Media Arts and Design. Today, she is back in her native Denmark, where she works out of her studio in Copenhagen. The Strand + Hvass duo is part of a new breed of Danish designers whose work continues in a direct line from their celebrated predecessors. how his objects will serve people and adapt to their lives. Rarely working with plastics and synthetics, he prefers to explore the potential and warmth of natural materials. Wood is a particular favorite, as Ascalon enjoys pushing the boundaries to attain new aesthetic and functional realms. Ascalon’s pragmatism, creativity and empathy have been instrumental in positioning him as a leading American design voice of his generation. He has exhibited globally in design hubs such as Milan, Paris, London, Cologne, Stockholm, and New York, and in 2013 was singlehandedly invited to represent American design with an installation at Moscow Design Week. Industrial designer Christina Strand and architect Niels Hvass founded their Copenhagen-based design firm in 1998 to unlock the potential of two minds working together to create truly innovative, purposeful solutions to universal design challenges. Their mutual design philosophy is user-centered, deeply rooted in Scandinavian culture, and based on research and a strong emphasis on function. This has resulted in simple and comprehensible furniture that conveys a deep understanding of the potential of various materials. Strand + Hvass focus on simplicity, superior quality, and the combination of uniqueness and industrial production to create the modern classics of tomorrow. With the Extend Table design, Strand + Hvass infused the modern Danish furniture tradition with a bold new expression. Sculptor, textile designer and ceramicist Naja Utzon Popov was born in Copenhagen, Denmark, into a family of artists. Born in Copenhagen and originally trained in shipping, Morten Gøttler became a self-taught designer and architect recognized for his exceptional understanding of wood. Utzon Popov’s life-long exposure to contemporary design finds expression in her work, where she translates her encounters with nature into textiles, glassware, ceramics and sculptures. The approach has been highly successful. Utzon Popov’s designs were well received at the International Contemporary Furniture Fair in New York, and her large-scale clay installation for the event was acquired by the iconic SAKS Fifth Avenue department store. Utzon Popov’s glass and ceramic designs can be seen around the world, including in the Feng Sushi restaurant chain in London and the Galeria Kunstmann in Mallorca. After working with product development and design for a number of companies, Gøttler opened his own design studio in 1972. He has since worked in a wide range of genres, including domestic art, packaging, toys, graphics and lighting for Danish and international companies. In 1984, Gøttler decided to focus primarily on furniture design, using an approach rooted in the modern Scandinavian design tradition and the firm belief that innovation is the foundation for successful design. Gøttler’s clean, easy aesthetic is characterized by carefully considered form, exquisite comfort, and close attention to detail – all brought to life using high-quality materials. A complete overview and useful reference for every piece of Carl Hansen & SĂ¸n furniture. Explore details, find measurements and choose the perfect materials to create the right look, proportion and atmosphere in any space.